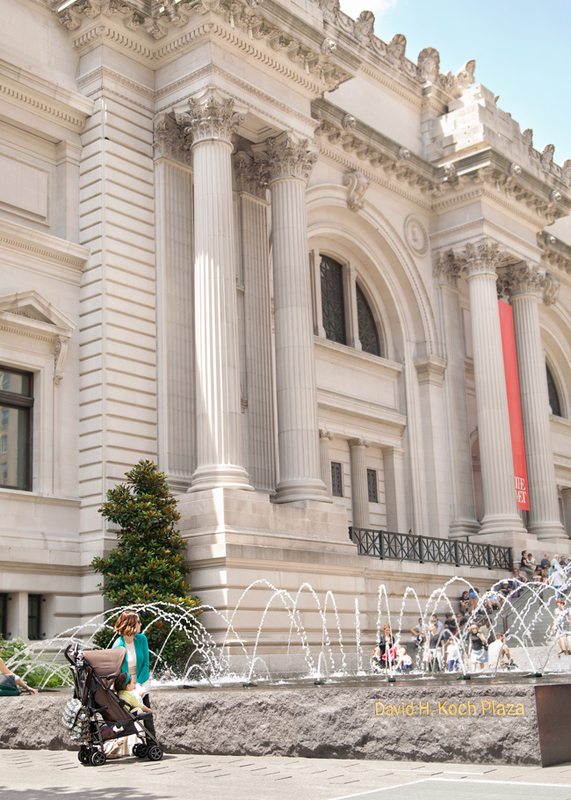 One of the most magical places in New York for us is the Metropolitan Museum or Art. 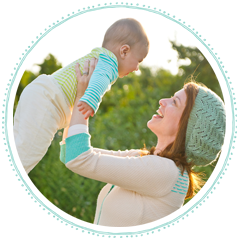 My hubby and I love going there, but we haven't braved it with the kids. That is, until last week. 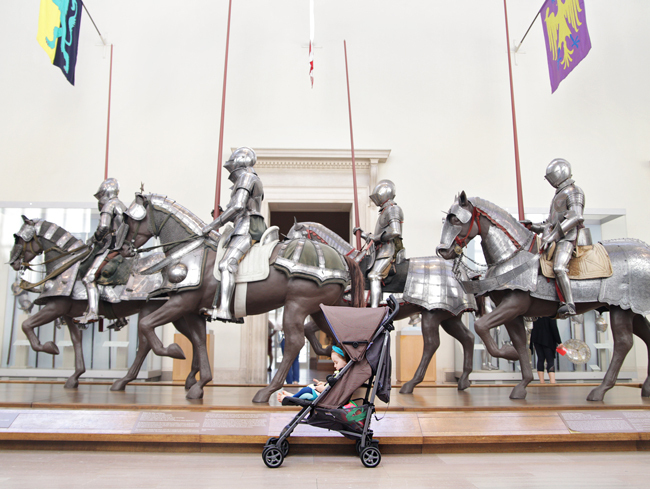 For Little Missy's very first trip to the MET, we chose the Easywalker Buggy for a chariot. 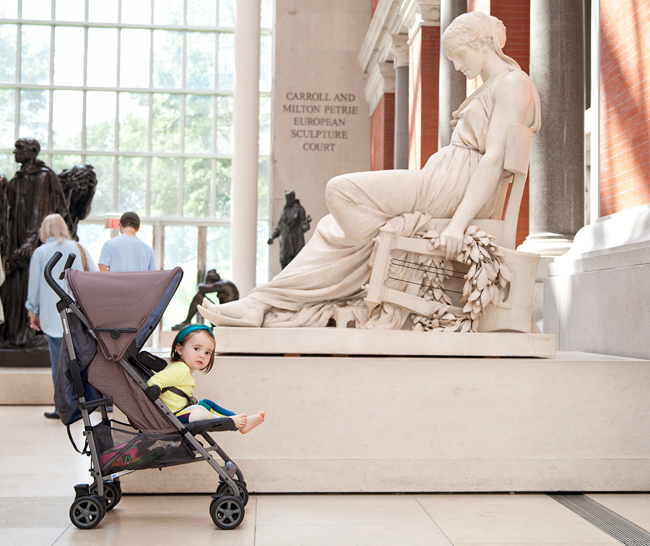 I couldn't wait to test-drive the buggy and the MET seemed like a very befitting place to take it for it's first spin. 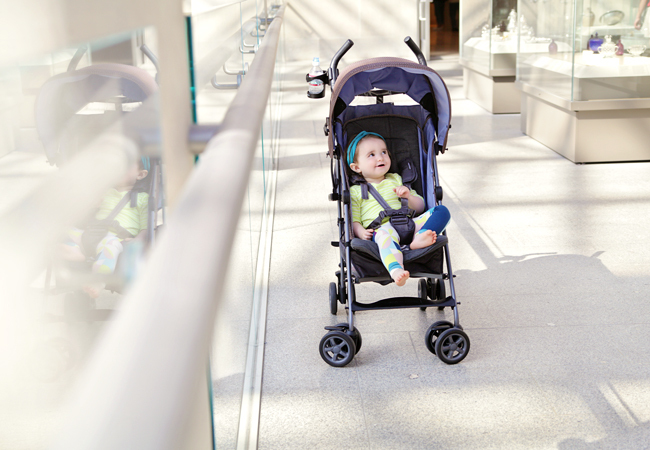 The Easywalker Buggy was just the perfect mode of transportation for this occasion. Because it's so compact, we didn't feel in the way with it at the museum. At the same time, the seat with it's adjustable leg rest and a full recline was very comfortable for Little Missy. She took a nap later in the day and was able to stretch out fully, the way nature intended. 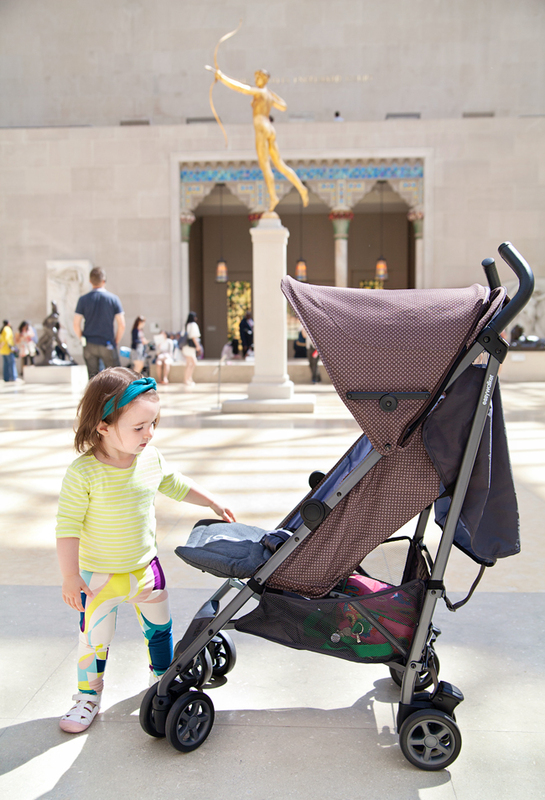 If I had to give one piece of advice to parents who are planning to take little kids to the MET, it would be, don't wander too far from the cafeteria. 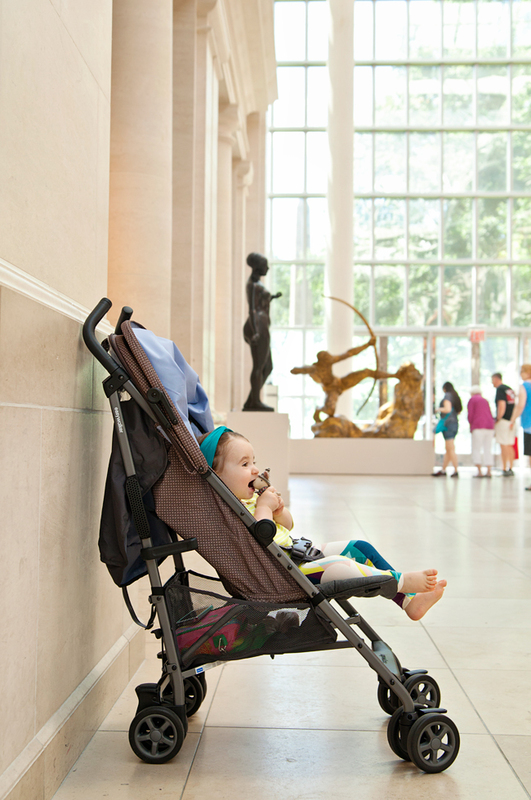 When Little Missy got hungry, the whole museum knew about it. And those tall ceilings and marble walls produce quite an echo. 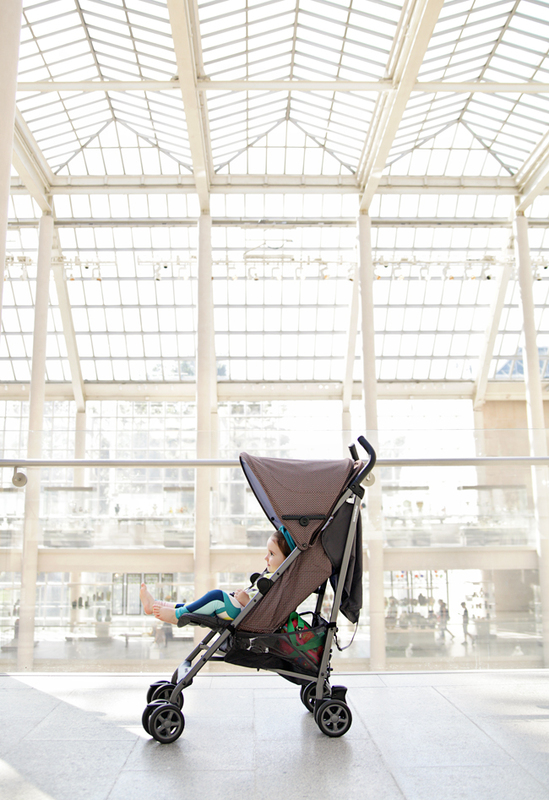 The only place where you can feed a baby in the museum is the cafeteria, and you want to be able to find it quickly when the need occurs. 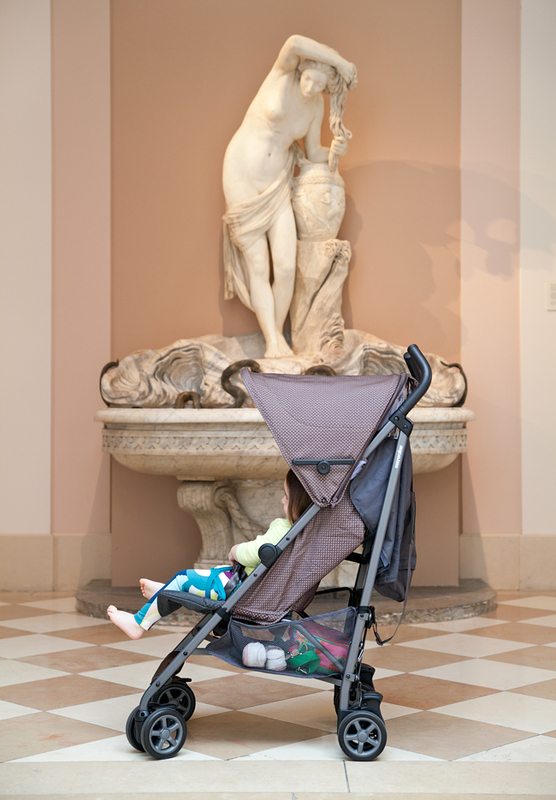 I'm happy to report that our first museum trip with Little Missy was mostly a success. 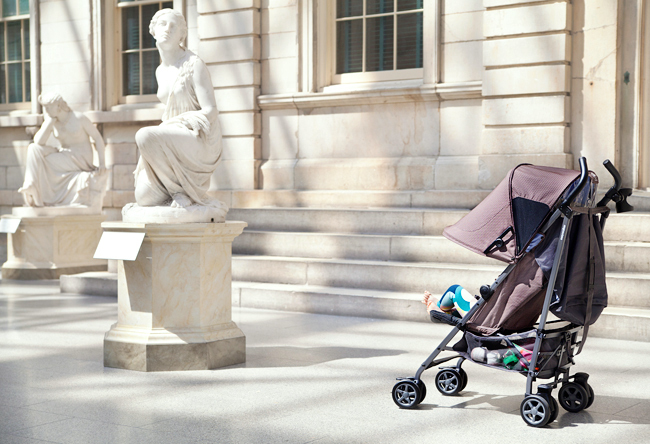 We let her roam a bit in the sculpture gallery, to stretch her legs and the rest of the time she was quite content in the stroller. 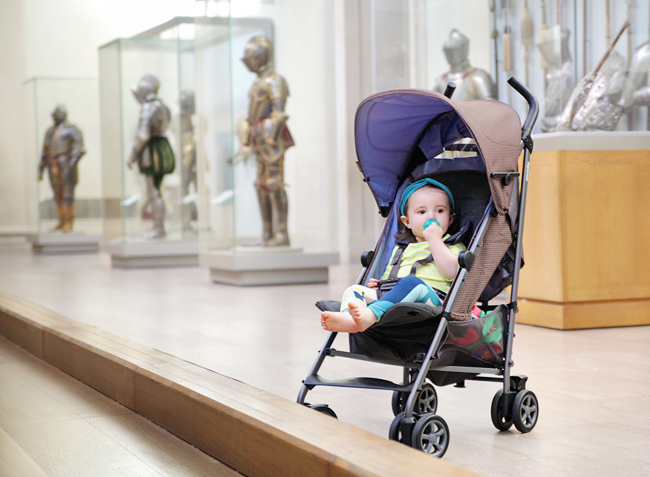 I really enjoyed pushing the Easywalker buggy and I think Little Missy really enjoyed riding in it. I'd like to thank Baby Jungle again for sending this gorgeous buggy. Please stay tuned for a detailed review!